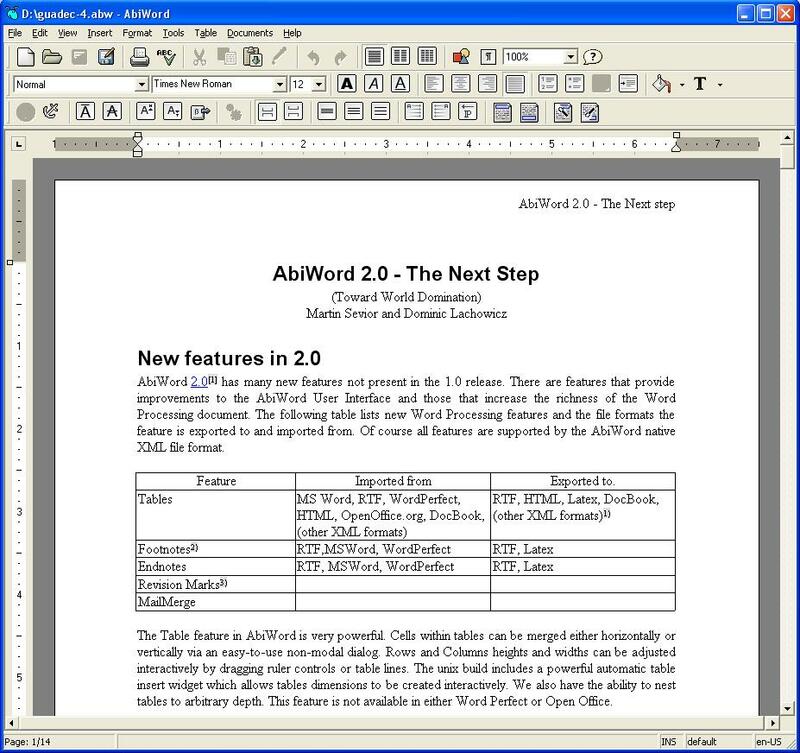 Description: It is a free word processing program similar to Microsoft Word. It is suitable for a variety of word processing activities and has the ability to read and write a number of document types including Microsoft Word, Word Perfect, Open Document (pre-installed), RTF, HTML, Palm and more. It includes both grammar and spelling checkers as well as an array of other handy features including mail merge capabilities and online collaboration support. You can also download Plugins and Dictionaries to extend it.